French lord in the reign of King Louis XIV. Home » French lord in the reign of King Louis XIV. 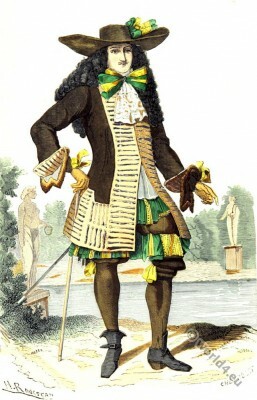 French lord in the reign of King Louis XIV. 17th century. According to Chevallier-Chevignard. French lord in the reign of King Louis XIV. 17th century. Seigneur. Règne de Louis XIV. XVIIe siècle. D’après le Chevallier-Chevignard. This entry was posted in 17th Century, Ancien Régime, Baroque, France, Nobility and tagged Baroque era, Paris à travers les siècles on 8/28/15 by world4.